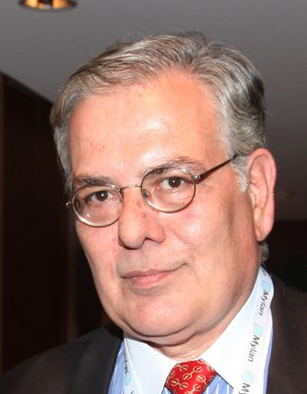 J. Kouros is the President, Scientific Director and Founder of the A.P.P.A.C. After completing his Medical Studies in Athens, he moved to Paris where he specialised in Adult Psychiatry (CES, Paris VII), Psychoanalysis (École Freudienne), and Child Psychology & Paedagogics (DEA, Paris V). He is a member of the European Psychiatric Association , the European Family Therapy Association and the Athens Medical Association. John was trained as a psychiatrist (1974 – 1980) at Ville-Evrard Hospital, Evreux Hospital and Sainte Anne Hospital. Upon his return to Greece, he worked for St. Sophia Hospital, the Institution for Social Insurance, UCB Pharmaceutical Co., the Red Cross and the Communal Medical Center of Kifissia. In 1986 he founded the A.P.P.A.C., and in 1989 he became the Greek representative and President of the Hellenic Association of Spina Bifida & Hydrocephalus (H.A.S.B.HY.). A year later, he founded the Hellenic Association for Protection & Rehabilitation for Multihandicapped People. Since 1994, he has been a supervisor of medical book editions and the Chief Editor of A.P.P.A.C. Archives, a quarterly medical journal. His sensitivity towards raising Mental Health awareness has driven him to organise numerous seminars, symposia and conferences, and to participate in over 500 radio and T.V. broadcasts analyzing related matters.